Police say a man was attacked and robbed near the McDonald's parking lot across the street from Wrigley Field. 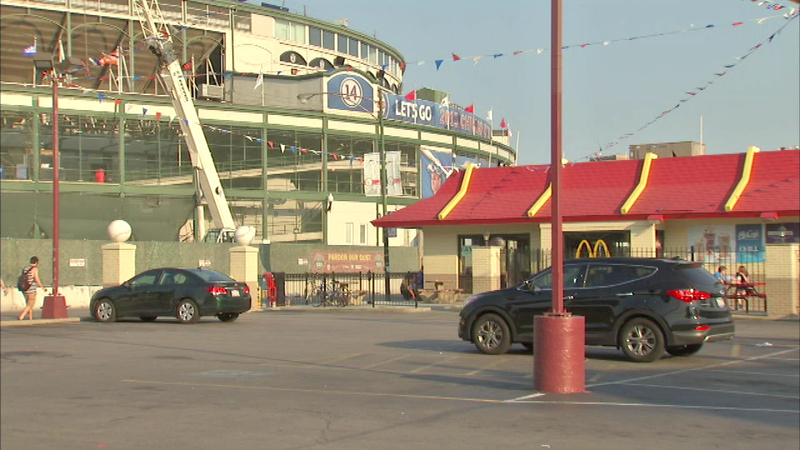 CHICAGO (WLS) -- A man was attacked and robbed near the McDonald's parking lot across from Wrigley Field early Sunday morning, police say. Police say three men beat and robbed the victim of his credit card around 5:15 a.m. Sunday morning in the 3600-block of North Clark Street across the street from the iconic ballpark. The attackers drove off in a blue Toyota. The victim was treated at nearby Thorek Memorial Hospital.